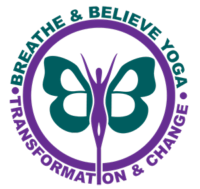 Welcome to Breathe and Believe Yoga. Hello and Welcome to my first attempt at a Yoga Website. I’ve started with something fairly simple, so anything you are looking for should be easy to find. On my site you will read about my journey through Life and through Yoga. You will see where and when you may attend my classes. The pages are interactive and you can comment or ask questions about my Yoga. All of my classes are based in Inverclyde, with some Workshops and Retreats outside this area. Please enjoy my website.